Pictured from left are Dr. Steve Leigh, Dr. Suzanne Konz, Kevin Moor, Andrew Ebert, and Mahalie Hargis at the 2018 36th International Conference on Biomechanics in Sports in Auckland, New Zealand. 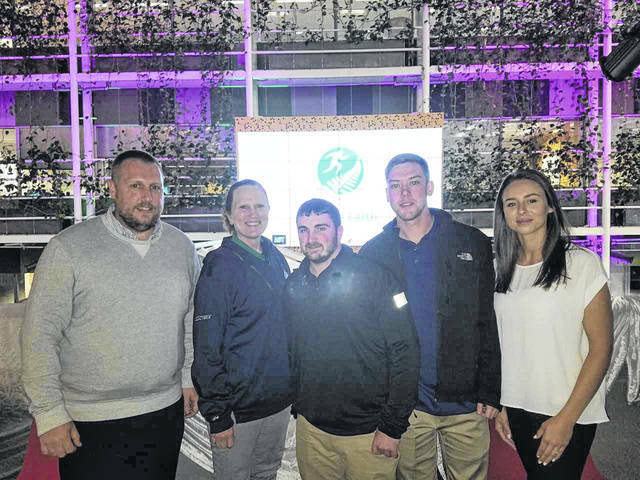 HUNTINGTON, W.Va. — Representatives of the Marshall University Department of Biomechanics traveled to Auckland, New Zealand, Sept. 10-14 to attend the 36th International Conference on Biomechanics in Sports. To learn more about the conference, visit https://sprinz.aut.ac.nz/isbs-2018. For more information about the university’s biomechanics program, visit www.marshall.edu/biomechanics. Call 877-GOHERD-1 to schedule a visit and learn more at www.marshall.edu.